I think I may have written about it before, but one of the best little tips I've picked up in photography is when everybody is looking in one direction, turn around. Often the view looking the other way is just as good, but unique because nobody thinks of it. 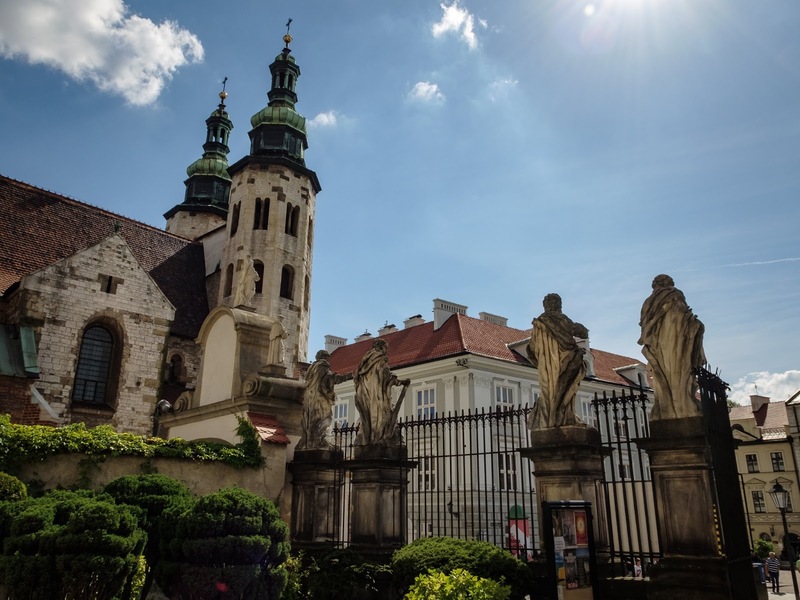 This shot is from inside the gates at Saints Peter and Paul Church in Kraków. When you walk up to the church, you're greeted by sculptures of the 12 apostles on plinths. Apparently the sculptures aren't the originals, which were damaged by acid rain, but modern reproductions. Still, they look quite aged and impressive. I got several shots of them. But get inside the gates and turn around. The view in the other direction was nice too and had the benefit of looking into the sun which was just out of frame.